Ian grew up in a small town in Maryland, USA; about 2 hours from Washington DC. He was exposed to music at a young age, as his father (RIP) was a live sound engineer and ran a sound reinforcement company. His father engineered for such groups as Kool and The Gang and The Duke Ellington Orchestra. Also, his mother played guitar and sang as a hobby. By the time he was 7 years old he was able to mic a stage for a concert and travel along with his father during summer vacations making tour stops all over America from East to West. In high school, he played drums and was even in the school marching band. Ian discovered dance music while he was in college. Already a part of the graffiti-writing scene in Baltimore, MD he met hip-hop DJs that led him to his next passion. He put down his spray can and bought some turntables. He started djing and played mostly hip-hop, then he worked at Music Liberated in Baltimore as a buyer/sales representative where he was properly introduced to house music and made his very first vocal production (with Jason Papillon as Soul Providers) "Rise". It was a crossover hit and went Gold in the UK. It wasn’t long before Ian decided to move to Europe, as it was more convenient to be closer to the place the dance music scene thrived. His signature “funky bass line” sound grew and eventually propelled the demand for his top-notch productions, especially remixes. In one week, Ian held 8 mixes on the UK Upfront Club Top 40. Clubbers, djs, and fans who demanded to know more created an influx of interviews from radio, magazines and the likes of MTV. The most exclusive to date was an impressive 8 page spread (and 2 hour DVD) exploring the intimate details of his production techniques in the very prominent Future Music Magazine published in many languages and countries worldwide. 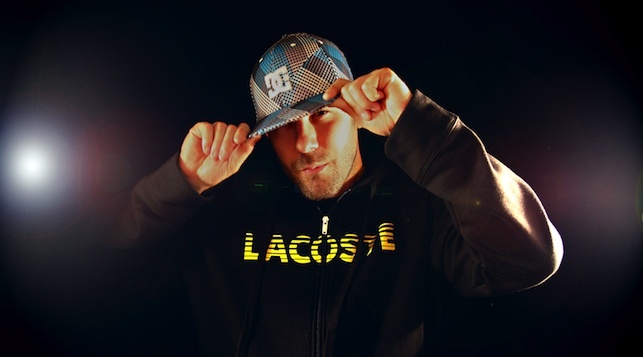 He’s made hits like “Say What You Want” on Nero Records and in 2008 released a rework of his former project Soul Providers’ “Rise” into the smash “Keep On Rising”. As a result, Ian gets respect from guys like Roger Sanchez, Pete Tong and continues Top 40 sales and radio in many countries around the world. "Get Shaky" was unleashed and saw huge success world-wide, including the coveted Double Platinum certification in Australia and a Gold certification in the UK. In the first week of its UK release, it became a Top 10 in the Official UK Singles Chart. Ian also Co-Produced the video which not only ranked as Top 10 on iTunes that also landed him a VMA Moonman award for Best Dance Video in Australia's MTV Music awards. 2010 and 2011 touring highlights included some of the top nightclubs and festivals worldwide including a 9 show tour in Brazil, a full month tour with 15 shows in Australia, a residency at Set Miami, as well as one off shows in Dubai, Los Angeles, Singapore, Vancouver, Munich, Dublin, London and Moscow just to name a few. 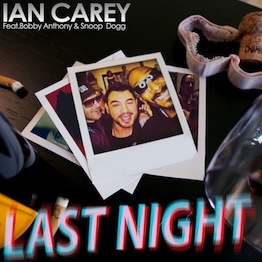 Ian’s single “Last Night” featured singer Bobby Anthony and Hip Hop legend Snoop Dogg. The collaboration earned a Platinum certification in Australia and worked its way through the charts worldwide.